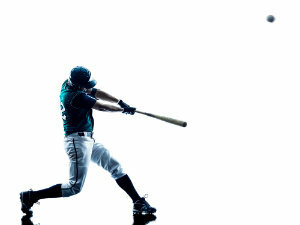 With baseball season starting again and spring in full swing, it’s no wonder so many people are interested in getting back out there to play sports again. This is great news—staying physically active keeps weight at a healthy level and can decrease stress, just to name a few health benefits! It’s important to make sure your feet stay safe while you are playing sports, and part of this is conditioning them through exercise, stretching, and wearing the right shoes. Toe lifts – lifting each toe on its own until you can do it smoothly. Toe abduction – standing barefoot and then spreading your toes away from each other. Bottom of the foot stretches – picking up small objects with your feet and toes or scrunching a towel with your feet. Walking barefoot – simply walk around without shoes, or with minimalist footwear, for a while. If you have diabetes you should avoid doing this. Another important aspect of preparing your feet for physical activity is getting shoes that are appropriate and fit you well. In order to get the right shoes, we have a few pointers to follow. It’s important to go for a professional fitting every time as your feet do tend to change shape and size. Also, go at the end of the day when your feet are at their most swollen. When you first put your shoes on they should feel comfortable and fit correctly. There should be no “break in” period. There are shoes that may be specific to your sport so make sure you get the right kind. If you have more questions about conditioning your feet for sports, whether it be about exercise or footwear, do not hesitate to call Dr. Peyman Elison and Dr. Viedra Elison at (623) 584-5556 to schedule an appointment at Fixing Feet Institute in Surprise, AZ. Posted on 04/17/2018Swimming and Golf and Tennis – Oh My!